Check out events & TV appearances Kenta has participated in & find out where you can see him next! Kenta joined his friends Jeanette Jenkins & Jaime McFaden on GMA for a fun fitness segment with host Michael Strahan! Kenta is back on KTLA morning news, this time talking about the Aaptiv App! Kenta partnered with one of his favorite clothing brands ASOS, and hosted their first fitness event in Los Angeles. Kenta is featured in another of Cassey Ho’s YouTube videos, this time doing 100 reps of a crazy hard ab exercise. Kenta partnered with the premier athletic clothing line 2XU for a fitness event at their new flagship store in Los Angeles. Netflix hosted an 80's takeover event at the legendary Muscle Beach in Venice, California! Kenta took the stage with his friends, including fitness icon Jeanette Jenkins, and attempted 80's aerobics. How do you think he did? Click below to find out! Watch this fun gliding workout segment Kenta led on KTLA, the most watched morning news in Los Angeles! This is the 3rd year Kenta has been invited back to lead classes & workshops at Maxima Fitness, the largest convention in Mexico! This year he sold out a workshop certifying the students in a new class using floor gliders. 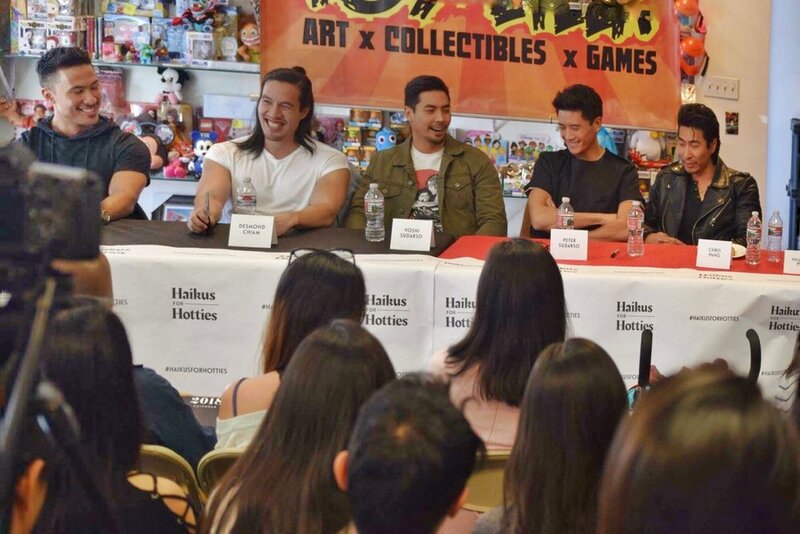 Kenta spoke on a panel of Asian American men who discussed the diverse challenges and stereotypes they have faced working in media industries. Kenta shared the stage yet again with Jillian Michaels, this time at the CanFit Pro World Fitness Expo in Toronto, Canada. They lead a group of over 400 people through a challenging Jillian Michaels Bodyshred class! The YMCA of Downtown Los Angeles hosts an annual Stair Climb for Los Angeles event, and Kenta trained their youth group to prepare for the climb. You can watch as Kenta leads a group warm up on the FOX morning TV show Good Day LA! Shape Magazine partnered with Kenta for 2 years in a row for their annual Summer Shape Up event, and he led multiple sold out workout classes alongside some of the biggest names in the fitness industry. The Zoo is a syndicated TV show that focuses on millennial culture. Kenta discussed topics ranging from fitness to Asian-American equality, and even tried a partner exercise with the hosts at the end! Why is the Asian Vote Being Ignored? In this non-fitness related video feature, Kenta addresses the fact that American media and culture has been ignorant of the Asian American voter and our value to society and the electorate. Kenta is featured in a news segment about a fitness event in Los Angeles funding cancer research. Kenta made his reality TV debut being featured in a new show on the E! Network starring his friend & mentor Jillian Michaels. One of the episodes followed Jillian as she produced Kenta's workout video series, Fusion 15. On this live national TV segment, Kenta discusses his relationship with Jillian Michaels and they play a clip from her reality show Just Jillian. He then leads the hosts through a few exercises! Kenta & his friend Lisa Kinder lead a fun partner workout segment on the nationally syndicated talk show The REAL. Self Magazine hosted an annual fitness event that drew thousands of people, and Kenta led mass classes at their events in San Francisco in 2012 & Chicago in 2013! Kenta was featured on the national TV show The Insider and gave tips on how celebrities stay fit. © 2018 | Kenta Seki | All rights reserved.